This article originally appeared in Milk Producer Magazine. As another harvest season approaches, it also marks the time for deciding which corn hybrids to select for next year. It is always important to choose hybrids that are well adapted to the area and have good agronomic characteristics for your fields, although some characteristics commonly selected for in-grain production may not be as important for silage, such as standability. 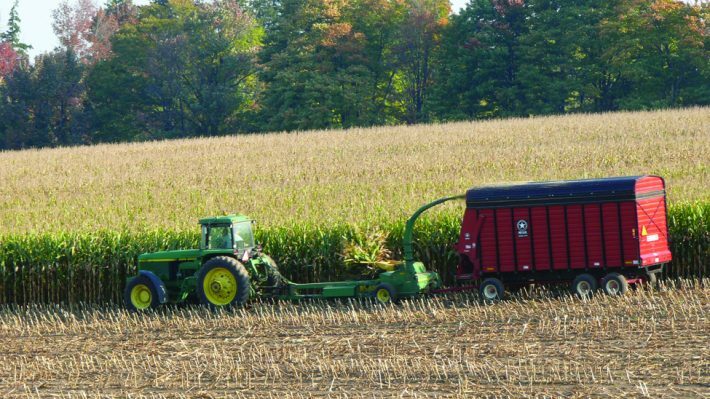 A traditional selection approach for corn silage hybrids was to plant a hybrid with high grain yield potential assuming grain yields were well related to whole plant yield. While this may have served as a general guide, hybrid trials in other jurisdictions suggest there is variability in grain stover ratios that may not necessarily make this true, and the highest grain yielding hybrid may not be the highest silage yielding hybrid. Unlike grain corn, there are no public Ontario corn silage hybrid performance trials. Ideally look for performance data that has been replicated. Work with your seed supplier to select high-performing hybrids that have demonstrated consistency across a range of environments, such as soil type, precipitation and farm practices, as well as weather patterns over the years, if possible. This will increase the probability of selecting a hybrid that will better perform on your fields. Research in the United States suggests with the exception of some hybrids with enhanced digestibility traits, variability in digestibility across standard corn silage hybrids tends to be fairly low, and digestibility is influenced more strongly by growing season or harvest management practices than hybrid selection. That being said, some gains could be achieved by selecting hybrids with above-average digestibility and avoiding those below average. 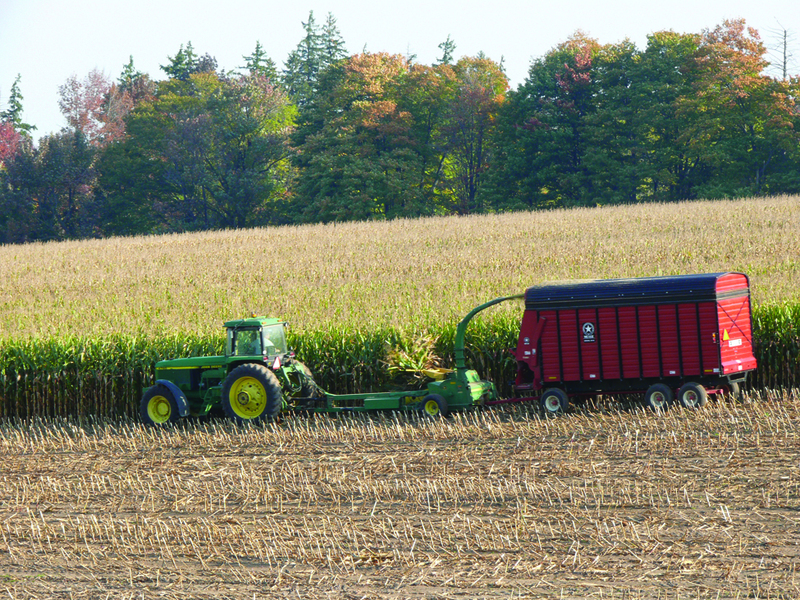 The University of Wisconsin quantifies corn silage quality through its MILK 2006 model. By combining forage analyses for crude protein, neutral detergent fibre (NDF), NDF digestibility, and starch and non-fibre carbohydrates, it provides an estimate of silage quality expressed as yield of milk per tonne of silage. In addition, by combining milk per tonne of silage with silage yield, the university produces an estimate of milk per acre, which provides an economic basis to compare silage hybrids. University trials showed the highest yielding hybrids may not always be the most economical hybrid if quality is lower than other high yielding hybrids. Some traits, available in corn silage hybrids, are aimed at improving digestibility relative to standard dent hybrids. Historically, performance trials in other regions have suggested hybrids with some of these traits may be associated with lower or less consistent silage yields. This risk may be reduced with more modern, higher performing hybrids. When considering hybrids with improved digestibility traits, you should select carefully and ensure hybrids offer competitive yields compared with standard dent hybrids, and that they provide a good balance between feed quality and yield. When considering silage hybrid maturity, a good practice for maximizing yield potential is to select a hybrid that has a slightly longer season, such as 100 to 200 crop heat units longer, than grain corn normally grown in the area. In general, corn plants may reach proper harvest moisture content for packing and fermentation around two weeks before physiological maturity. Selecting a slightly later maturing hybrid can help maximize the growing season. It is a good idea to work with your seed supplier to select a silage hybrid with a maturity rating that would accomplish this. Similar to grain corn production, varying silage hybrid maturity can help spread weather risk and harvest workload if harvesting silage at the proper moisture content for good packing and fermentation is an issue. Moisture variability may be less beneficial if you harvest silage in a narrow window, such as when using custom silage harvester. Planting a portion of expected silage acres to a hybrid that could be used for either grain or silage production, sometimes referred to as dual-purpose hybrids, could provide flexibility for yield variability. It is a good idea to select a high-yielding grain hybrid with high digestibility and maturity suited for grain production. In lower yielding years, this hybrid could be used to supplement silage volume, while in higher yielding years it could be combined for grain.